Offers a variety of games from renowned software providers like Merkur and Yggdrasil. Has a professional customer care service that is accessible through email and live chat. Offers a sizeable welcome bonus and other bonuses on a regular basis. Live chat not available outside of business hours. SunMaker is an excellent online casino with an enormous following in Germany. 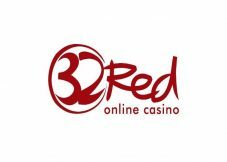 It was launched in 2007 by PlayCherry Limited Casinos and has maintained a superb reputation since then. 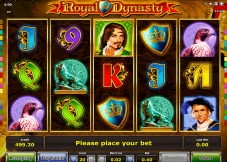 This casino offers a wide variety of slots and games from Merkur Gaming and Yggdrasil among others. It holds a license from the Malta Gaming Authority. This internet casino has an attractive blue themed website, which is easily navigable. It features a functional Search feature that enables you to get to your favourite games in an instant. Furthermore, the games are divided into categories making them easy to locate. You will definitely have a convenient gaming experience on this site. You can play SunMaker games through instant play no download. It offers a seamless experience directly from your internet browser. This establishment also functions perfectly on mobile phones. It is compatible with Android and iOS, as well as other mobile operating systems like Windows. 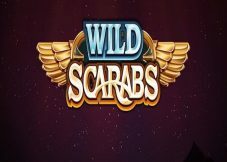 The casino is available on mobile through instant play. SunMaker offers an abundance of games. 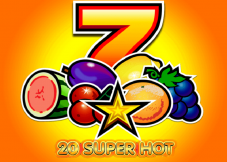 Currently, there are over forty SunMaker slots available for slots fans to enjoy. 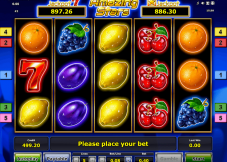 They range from classic slots to entertaining video slots. Some of its most remarkable titles include Gold of Persia, Dragon’s Treasure, 221B Baker Street, Amazonia, and Extra Wild among others. 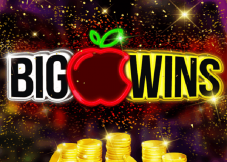 You will also find a few progressive slots with sizeable potential winnings. They include Genie Jackpots, Winstar, Joker Millions, and Holmes and the Stolen Stones. There are several table games present in this casino. They include all the popular variations of roulette such as the American, French, and European Roulette among others. The roulette games available have varying bet limits making them ideal for both the high rollers and penny players. Other table games in this casino include Baccarat, Craps, Sic Bo, Tropical Stud Poker, and a few Blackjack variants. Gamers will definitely enjoy the quality of these games. Online lotteries and bingo games are also present in Roxy Palace. However, it has very few video poker games variations available. SunMaker casino offers its customers lucrative bonuses and promotions to keep them intrigued. It starts with a Welcome bonus of 100% up to €200 that is given to all new players who make a minimum deposit of €10. This is a cashable bonus with a forty times wagering requirements. It means that you must wager forty times the bonus amount before cashing out. Fortunately, this bonus does not end with the first deposit. You will get a bonus of a similar amount for the Second deposit. Hence, the Bonus package is 100% up to €200 for the first and second deposits. The maximum cashable amount is not capped. Therefore, you can take maximum advantage of this bonus. However, the bonus is limited to players from a few countries. In addition, you cannot claim this promotional offer if you make your first deposit using e-wallets like Skrill and Neteller. You can use this bonus to play a wide variety of games, but they contribute to the wagering requirement differently. The only games that make a 100% contribution are the slots. All the other games such as roulette and blackjack contribute 10%. Finally, you should not attempt to cash out without meeting the play-through requirements. This will lead to the removing of the bonus. These methods can adequately serve the SunMaker clients. The majority are used for making deposits, and they facilitate instant deposits. Thus, you can start gambling immediately you finalise the payments. The withdrawals, on the other hand, take varying amounts of time, which depend on the chosen method. The e-wallets such as Neteller and Skrill have the shortest withdrawal times of between one and two days. Credit cards, debit cards, and bank transfers take between three days and one week. Hence, if you want the fastest withdrawals, you should choose the e-wallets. SunMaker has a pending period of two to three days. This is the time required to verify withdrawal requests. Therefore, the specific withdrawal time of various methods applies after the approval of your requests. You should provide the necessary identification details quickly if you want faster withdrawal times. The documents that are usually required include a valid ID and proof address. You should always send clear documents to make the process faster. If you have a problem with the verification, you can contact the customer care agents. The Malta Gambling Authority licenses SunMaker casino. This responsible body is trusted across the continents. Hence, the casino’s ability to hold this license shows that it is trustworthy. The MGA licenses the operator of this casino, which is Playcherry Limited Casinos. SunMaker holds a second license from the Curacao jurisdiction that licenses all the games from Merkur Gaming. This further ascertains that it is trusted and reputable. Players from the above countries will not be able to sign up or get the bonuses. Nevertheless, these restrictions may be lifted in the near future enabling the residents of the above to enjoy the excellent slots at SunMaker. However, this is currently not the case. SunMaker has a team of excellent professionals with the ability to answer your queries in the shortest time possible. 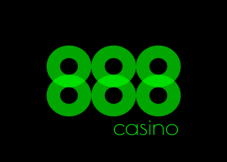 They are well-trained to help you whenever you experience a problem while using this casino. You can access them through email or live chat. The latter is usually more preferable because it is fast, cheap, and easy to use. You simply chat with an agent straight from the website at no extra cost. The email service is ideal when you need detailed responses from the customer care professionals. It is also useful when the live chat service is unavailable. 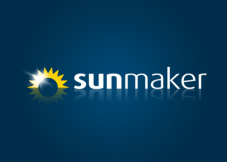 SunMaker is an exemplary casino that upholds the highest standards of fairness. Independent labs test its games on a regular basis to ensure that it meets the standards set. In addition, Merkur Gaming is a good software provider with an untainted reputation. Hence, its games are proven fair. The site also publishes the results of its tests hence you can always check if you are interested. This improves its credibility and trustworthiness. 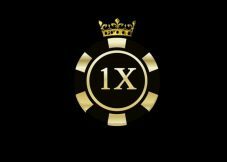 These are the main advantages of this casino. However, it has one key disadvantage, which is, it offers a relatively limited selection of games because only a few software developers power it. The games can satisfy the gambling needs of most gamblers, but they may be inadequate for others. SunMaker online casino is an exemplary casino that can lead to a great gambling experience. It offers a large collection of games from Merkur Gaming and Yggdrasil among others. 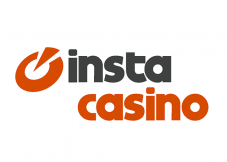 The casino has professional customer care that is available through live chat and email. 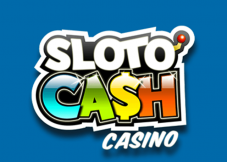 It also supports many payment methods to facilitate efficient real money gambling. You can try it out today for an awesome experience.